I have to admit something right now. When I was teaching, recess duty was one of my least favorite parts of the day. You see, recess meant heading outside with the kids, often freezing while they ran around and got rid of some much needed energy. Living in the northeast, even on those cold and snowy days, we were outside. There were only certain temperatures and wind chills that would keep us inside. On those days, I could see the importance of recess. It was a time for the kids to run, play, and get stresses out. They would walk around the track and chat with buddies, or chase each other around and climb on a playground. It really didn’t matter what they did – it was their free time to move their bodies before heading back inside to work for the rest of the afternoon. Now, as the parent of two children in school, I watch to see if they have recess every day. In addition to this, I want to know if they will have PE and or time in the gross motor room (that’s the preschool indoor room). I know the days that my older son has PE. He seems more focused and still adores learning to play sports and I hope he keeps this throughout his lifetime. When I received an e-mail from Mom Central telling me about the new Danimals ‘Rally for Recess’ Blog Tour, I immediately signed up. If I could help to spread the word about this great project they have I wanted to. We were sent a giftcard to purchase our own Danimals products. I would share a picture, but, well, they gobbled the Smoothies before I was able to get a photo. 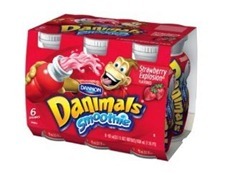 Purchase specially marked Danimals products that have codes on them. The top five schools will win a $20,000 playground makeover and ultimate recess day. There are also instant prizes and other details available on the Rally for Recess website. The programs runs through February 8, 2012. You can find codes on Danimals packaging (or free by mail) to enter and register schools online. The top school in each of the five categories (based on size) with the most codes registered wins! Be sure to tell your school about this opportunity. With recent budget cuts, they can use your help to try to revamp their recess equipment. Lots of families probably purchase Danimals for yogurt snack options and can take a few moments to register their school for possible prizes. Imagine the smile on the faces of the children if your school wins the big prize. 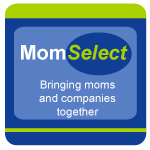 Disclosure: I wrote this review while participating in a blog tour campaign by Mom Central on behalf of Danimals and received a gift card to facilitate my review. 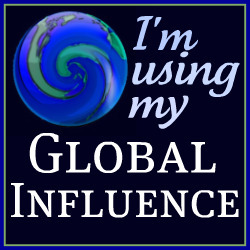 In addition to this, I received a promotional item to thank me for taking the time to participate. All opinions are 100% mine and in no way influenced.